MCG BioComposites, LLC, provides business development and sales and marketing of bioresin materials and products with the following mission, vision and values. MCG BioComposites commits to be a full service provider of materials and technical support in providing solutions meeting our customers’ Green Initiatives. MCG BioComposites has a vision to be a leading authority in developing sustainable, renewable and bio-based materials. Operating with the highest level of integrity, honesty and confidentiality within our organization and with our partners. Attract and retain conservative world-class people that are committed to the company’s vision and mission. Committed to leading edge technologies and best practices. MCG BioComposites, LLC began operations in August 2007 by Founder and President/CEO Sam McCord and Partners Dean Reck, Technical Sales Manager, and Phil Neville, Manager of Recycling, to provide sales, marketing and commercialization of biobased materials. 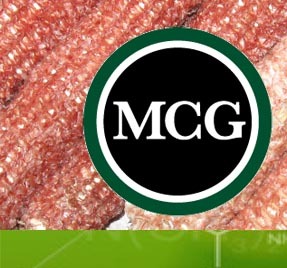 MCG BioComposites arose from Mr. McCord’s many years of involvement in the plastics industry. His leadership of the Society of Plastics Engineers led to his associates requesting that he represent the industry on the Iowa Biomass Working Group, a group formed by the Advanced Manufacturing Research and Collaboration Cluster. The collective of farm, academic, government and metal manufacturing representatives worked to encourage local, state and county entities to purchase Iowa bio-renewable products. Mr. McCord helped two private entities commercialize biobased materials that use Iowa-grown switch grass and kenaf fibers. MCG BioComposites was a natural next step for Mr. McCord, as it combined his expertise in plastics and biobased materials with his leadership experience. Mr. McCord started MCG BioComposites to handle the growth in biobased materials. His other business, McCord Consulting Group, Inc., is a separate entity but affiliated for additional services to the customer base. McCord Consulting Group provides executive search, business development consulting and business acquisition search to the plastics industry nationwide. The two companies offer a unique and effective combination of critical business services. Mr. McCord leverages his years of experience in business operations of executive search, business development and strategic planning, site selection for new manufacturing facilities, project coordination and sales and marketing in the plastics industry. He has represented companies ranging from startups to Fortune 500. He currently serves on the board of AMRCC (Advanced Mfg. Research and Collaboration Cluster) and BioSIG (Bioplastics Special Interest Group for 2011). 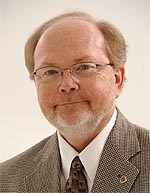 His past board activity includes serving as the 2007-2008 Chair of the Iowa Biomass Working Group. For additional memberships, visit the Links page. Mr. McCord is responsible for the overall vision and planning for the future of the business. Ms. McCord manages the office and bookkeeping for MCG BioComposites. Previously, she served as office manager for New York Life Insurance in Cedar Rapids. Her responsibilities included overseeing the application processes in the main office as well as sales offices in Waterloo, Davenport, Iowa City and other locations. 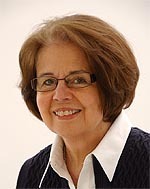 Over her 35-year career in the insurance industry, she trained agents and produced reports while also managing office services and solving problems.